“A Bridge to More Resilient Infrastructure” earned the Overall Best New Concept Award. Submitted by Allen Dusault, Nima Goudarzi, and Elham Ramyar, A Bridge to More Resilient Infrastructure uses a redistribution of load forces to create an entirely new bridge design archetype. “Sustainable Rainbow” earned the Overall Best Student Innovation Award. Submitted by Zewail City University of Science and Technology (Giza, Egypt) students Mohamed Elozeiri, Alaaeldin Ashraf, and Mohamed Ramadan, the Sustainable Rainbow is a holistic approach toward wastewater management that takes its cues from the water cycle, photons, and the science behind rainbows. 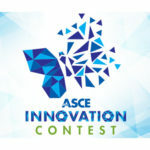 ASCE’s Industry Leaders Council developed the Innovation Contest as part of the Society’s Grand Challenge to significantly enhance the life-cycle performance of infrastructure by 2025. 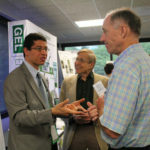 This year’s winners will be recognized at an invitation-only celebration in Reston, VA, June 27-28. 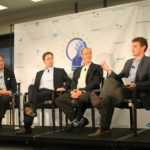 The event will also afford them opportunities to present their ideas to industry leaders and network with other innovative thinkers. • Most Feasible – “TieTran Cycleloop,” submitted by Chetan Rangaswamy Kulumepalya, Suresh Babu Salla, and Sujith Surendran. 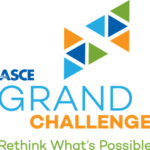 Learn more about ASCE’s Grand Challenge and how you can get involved, or email innovationcontest@asce.org.